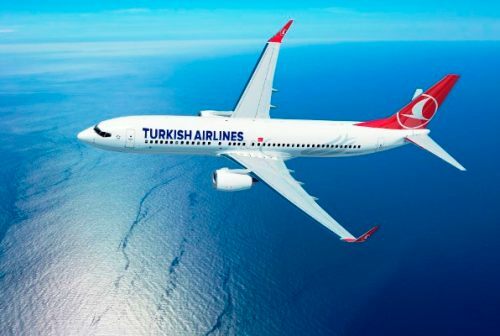 Turkish Airlines is showing price reductions on their fares from Montreal to a fairly large number of destinations in Europe, India, and the Middle East. Turkish Airlines is a highly rated airline. To the destinations listed below, it's usually possible to extend the stop in Istanbul, and have it work out to close to the same price as a roundtrip flight. I'll list the roundtrip price first ($CAD, including taxes), followed by the price if you choose the extended stop in Istanbul. Hurghada, Egypt - $584 - try this example search. Click through to FlightHub. It's also possible to find flights to Pakistan (Islamabad, Lahore, or Karachi) in the low $800s. Bangladesh is in the mid $800s. 1. Go to the Turkish Airlines website and search for a flight from Montreal to one of the destinations above. 3. Change Prague to one of the other cities from the list above. 4. Try different dates. I would recommend starting with the dates from the list above for the 1st and 3rd flight. NOTE: If the flight on the way home has a really long stop in Istanbul, you can extend it as well, and keep the price roughly the same. In other words, you would have two extended stays in Istanbul, one on the way there, and one on the way home. 5. Click through from Kayak to Expedia or Travelocity or FlightNetwork. One Response to "Montreal to Europe, India, or the Middle East, with an extended stop in Istanbul - $595 to $751 CAD roundtrip including taxes"
Amazing. Found MTL to Rome for $631 (tax incl).